Product prices and availability are accurate as of 2019-04-19 22:18:40 UTC and are subject to change. Any price and availability information displayed on http://www.amazon.com/ at the time of purchase will apply to the purchase of this product. 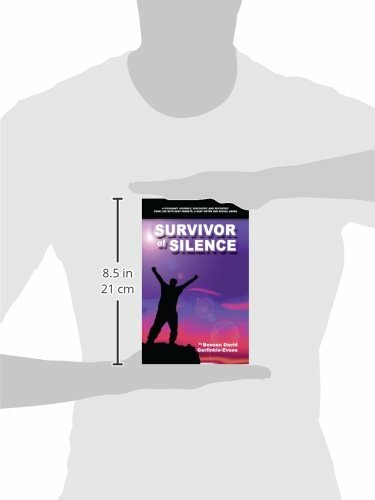 Author Bookstand is proud to offer Survivor of Silence by Bookstand Publishing. Bookstand Publishing offers books by the best indie authors throughout North America and the world. Bookstand Publishing is dedicated to offering original content to a broad audience and promoting great authors, literacy, and freedom of expression. Survivor of Silence has generated a lot of interest and excitement and we think it would be an excellent addition to your library. A silent world is not something most children grow up in nor do most children have deaf parents and a deaf sibling as I did. Growing up with deaf parents and a deaf sister was a most unusual experience to say the least. 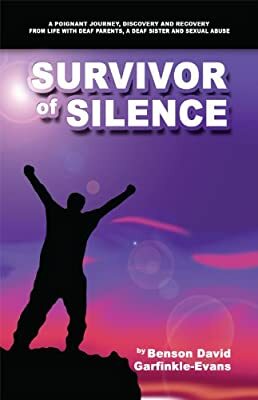 Surviving the silence of the deaf world and surviving the silence of sexual abuse was like mountain climbing without boots or skiing without skis. At worst, it was a life filled with what seemed insurmountable obstacles and depression. At best, it taught me determination, strength, the need for self-actualization and finally the survival of my soul. Caregivers are a special breed. Most are thrust into scenarios that feel unending. And, when they do end, the pent up emotions can linger in the baggage of the psyche. This book was written for anyone including children of deaf adults, caregivers, victims of any sort, gay, straight, and anyone who has felt different or alienated from their true self. When I was 'recovering' from my years of care giving, victimization, and self-actualization, I read as many success stories as possible. These successful life stories helped build the courage, self-respect, and ultimate survival tools I needed to overcome what life had dealt. It is my hope that reading this book will inspire all who read it to be honest with themselves, and strive for an authentic life filled with love, peace, and self-respect.